If fans at Madison International Speedway haven’t seen Austin Kunert of Batavia, Illinois, race yet then they are in for a real treat. 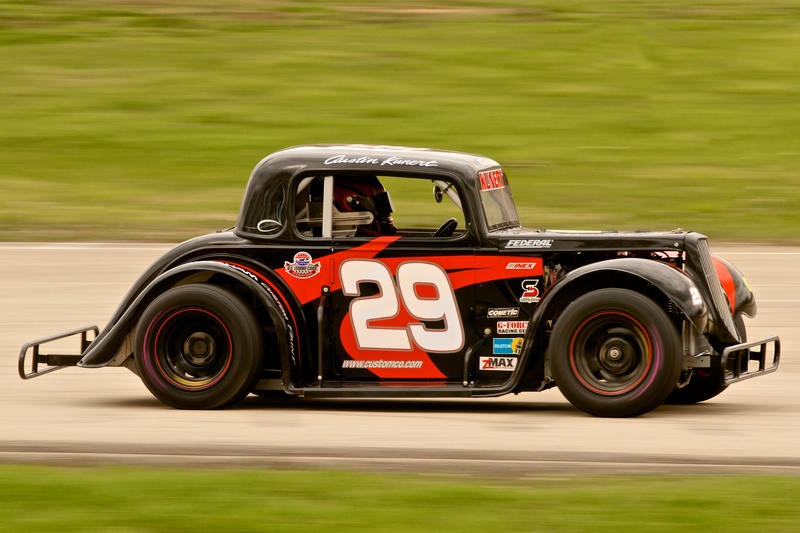 He will be making the one hundred plus mile trip to Madison competing in the INEX Legends division this year and is racing at the season opener on Sunday, May 5th. That race will be his first at Madison in the Legends division. So who is Austin Kunert? 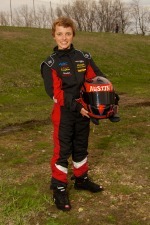 He’s a talented young driver who brings an impressive racing resume with him to MIS. In 2008 he was the Fall Series Champion in Group 4 at Chicago Indoor Racing. He followed that up with another Winter Series Championship in Group 3 in 2009. That season also found him earning runner-up honors in the Purple Champ Kart Class at Grundy Speedway. During the 2010 season he was the Grundy Speedway champion in the Turquoise Plate Champ Karts and also won a similar title at Jules Raceway. The 2011 season found him moving up to the Super Cup division where he won Rookie of the Year honors in the Central States Region Super Cups. Last year he was the STARS Series Grundy Speedway Mini Cup champion and no doubt added the highlight of his racing career when he won the Central States Region Super Cups championship. Overall, Kunert has totaled an amazing 56 heat and feature wins since getting his start in racing in 2008. He’s followed racing for most of his life. “His hero was Kyle Busch and when he found out Kyle started racing at age 8 he told us that ‘s what he wanted to do,” said his dad, Mike who serves as his spotter and crew chief. His long-term goal is to make it all the way to NASCAR or the World of Outlaws where Craig Dollansky is his favorite driver. So how did he decide to race Legends? “I decided on Legends because you can race them at a lot of tracks and they are fun to drive,” said Austin. Kunert is familiar with the “Ring of Fire” at Madison since he’s competed on it while racing with the Central States Region Super Cups. “It’s a challenge and I look forward to it as it will help make me a better driver,” he added. He also hot lapped the car last year following the lead of two-time MIS Legends champion Andy Jones of Gurnee, Illinois. This season he will be racing the #29 Legends car and will be sponsored by CDN Logistics, Inc., Custom Global Logistics, Abraham Custom Paint Studio, Embroidery Express, The Custom Companies, X-Treme Graphics, Kings Express, and Central States Region Super Cups. When he’s not racing Austin enjoys fishing and playing soccer. He comes to Madison with high hopes and big dreams. Oh, and by the way, did I tell you he’s just thirteen years old! Come to MIS this season and see Austin Kunert in the #29 car along with a very talented and competitive field of INEX Legends.